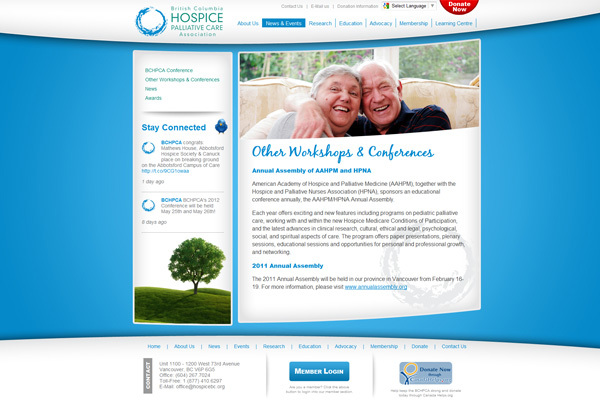 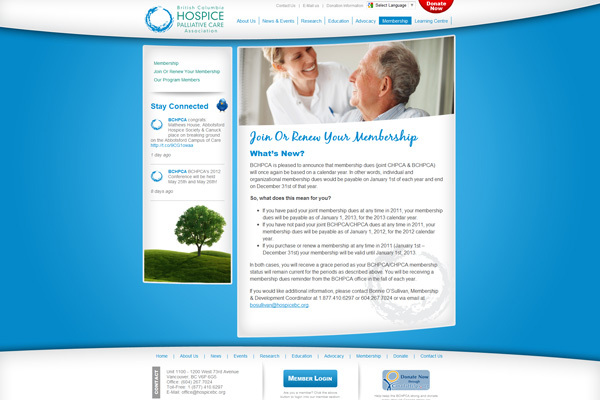 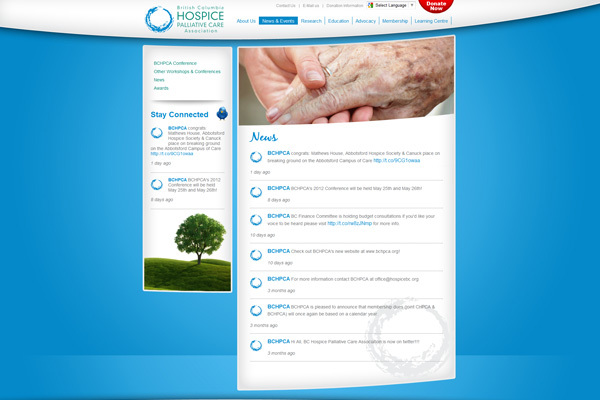 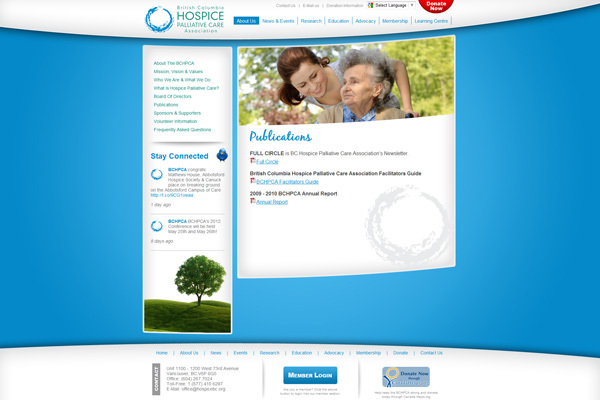 In desperate need of a facelift, the British Columbia Hospoce Palliative Care Association contacted us to design and develop a new website for their non-profit organization. 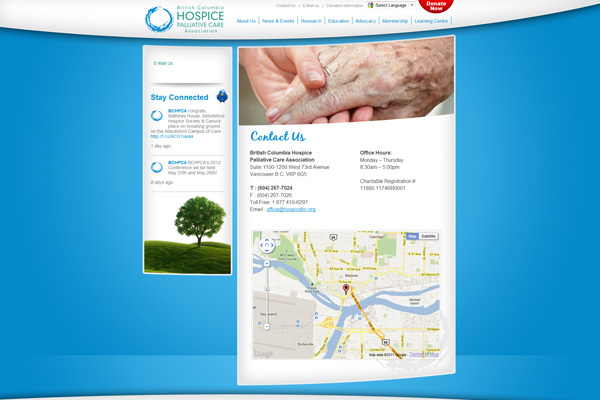 We finsihed with a new design that portrays warth and kindness helping to connect with their clients. 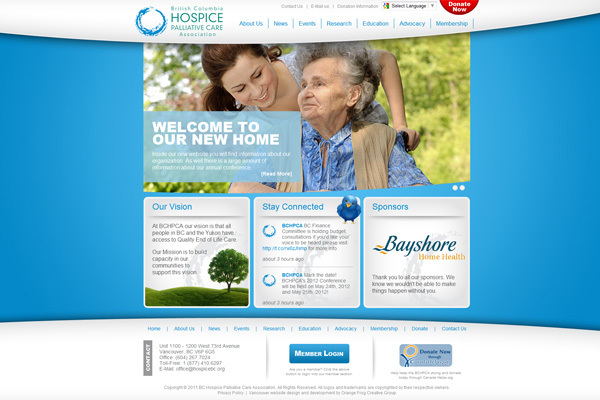 We built their new site on a content management system platform that allows them complete control of the content. 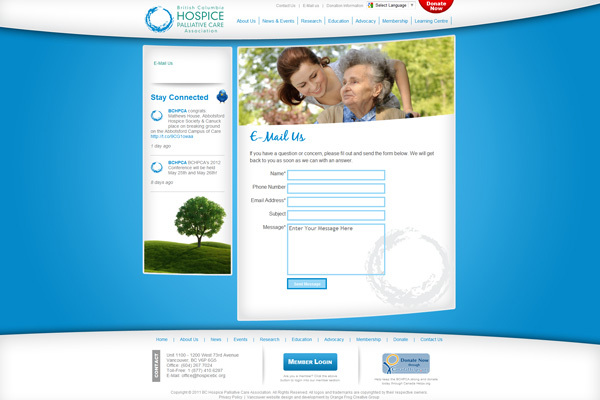 Their news is pulled from the Twitter account allowing quick and easy news posting.